ADCO Diamond | Get To Know Nature’s Brilliant Colors! Get To Know Nature’s Brilliant Colors! Yes, we all LOVE our colorless diamonds…the perfect icy white bright crystal of happiness. 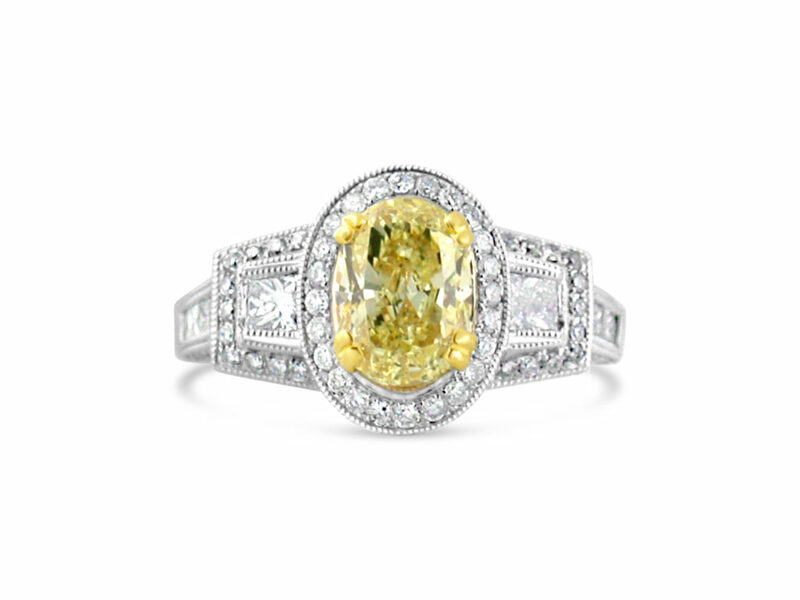 Have you looked at a bright yellow diamond, up close, on your finger? 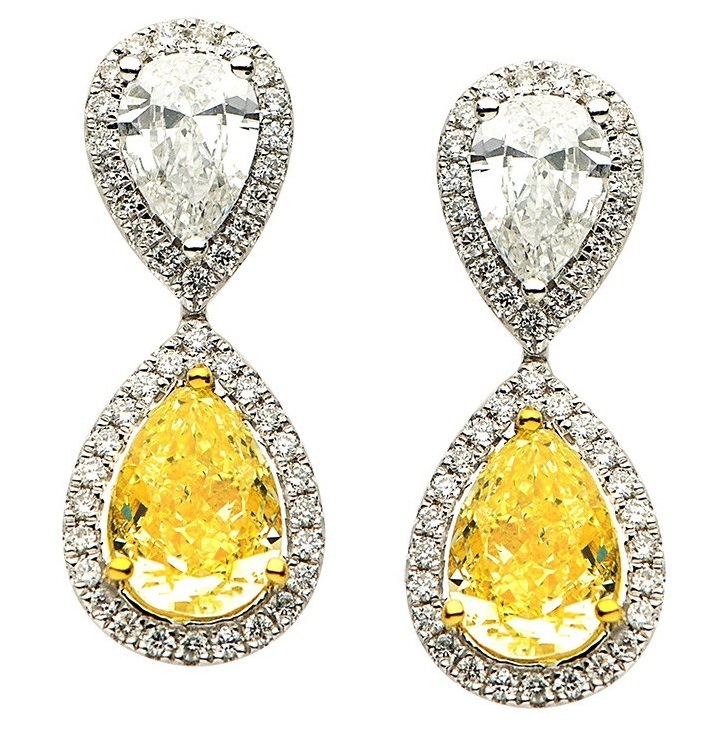 No yellow sapphire can ever be as sparkly as a yellow diamond. 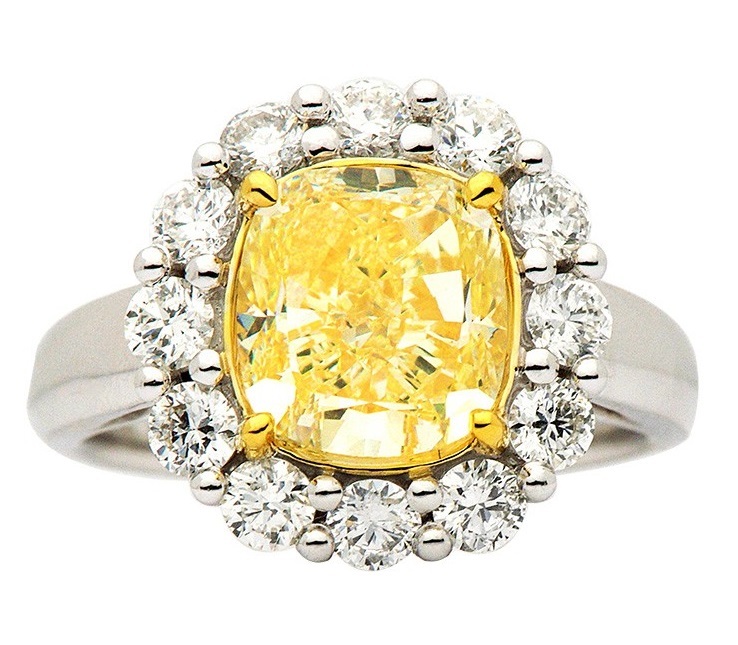 Actually, no colored gem stone can be as sparkly and bright as a colored diamond. It’s true that many of the fancy colors are extremely rare. However, there are many delicious colors like yellow and brown that would brighten any mood and command attention! 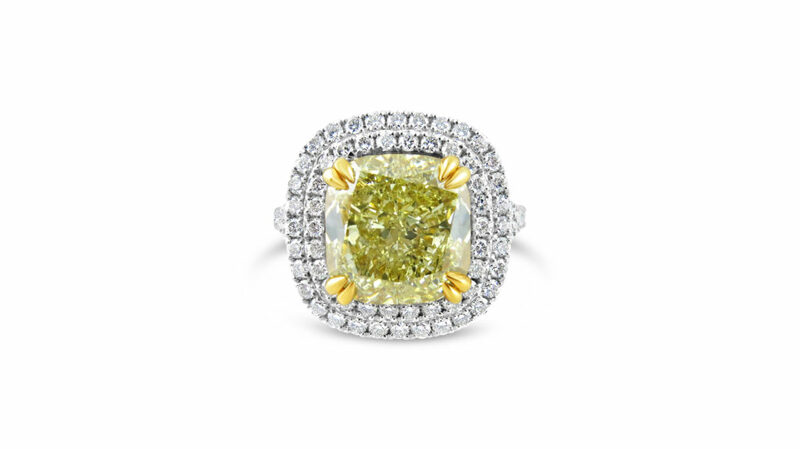 Fancy color diamonds have been coveted for years. Of course, the rarest — red, green, purple and orange — are prized by collectors and fetch astronomical prices. Yellows and browns are more abundant, and are more typically found in jewelry. The most popular mines for color diamonds are in South Africa and Australia. Quality of a color diamond is based on color, which is challenging to assess. Color, unlike colorless, is three dimensional and needs to be assessed and graded by a GIA laboratory-trained grader. It has three components that assign the color grade: hue, or the body color (blue, yellow etc. ); saturation, or strength of body color (vivid, intense, etc. ); and tone, or lightest to darkest of the body color (light pink, dark blue, etc). 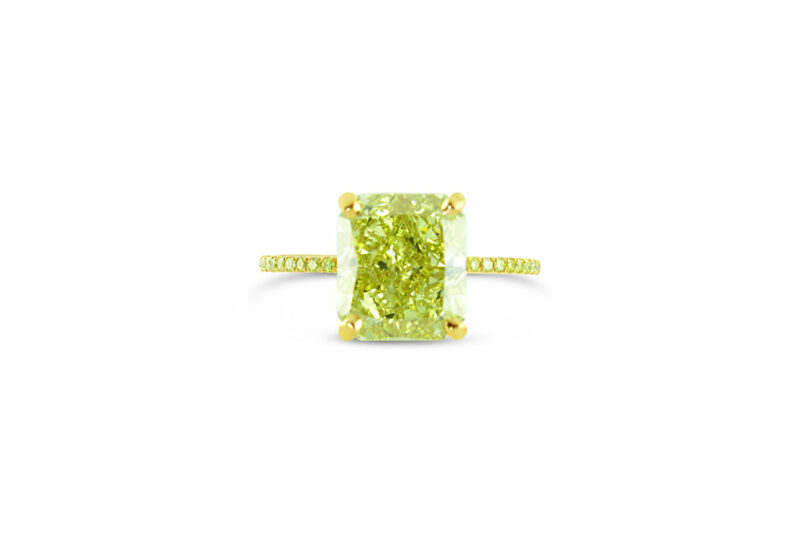 These three components that describe color maintain consistency in grading color diamonds. The rarity and saturation of the color, in addition to the size of the stone, basically dictate price. What causes these colors? Yellow is caused by nitrogen, blue by boron, green by radiation, perhaps from radioactive rocks, and grey by hydrogen. Unlike colorless diamonds, clarity does not effect rarity and price of color diamonds. The two exceptions are if the inclusions hinder the brilliancy or if they threaten the integrity of the stone. Once the diamond is chosen, it’s preferable to set it in a mounting with colorless diamonds to create contrast and bring attention to nature’s color. Halos are a beautiful way to achieve this, but so are the elegant three-stone designs. Here are some of our beautiful pieces. Enjoy nature’s colorless and fancy colored rocks! Their colors never fade!!! Pink diamond photo courtesy of GIA.